This 12 week plan is a step by step plan to invest your time and build your wealth network. You will learn that all the resources you need: time, talent, and money, are at your fingertips when you have a thriving network. You will find opportunities begin to flow to you, every one of which may open the door to another money tap to your fortune. The anatomy of your network. How to invest your time. The four levels of communication. Contains a set of 6 CDs and a workbook. 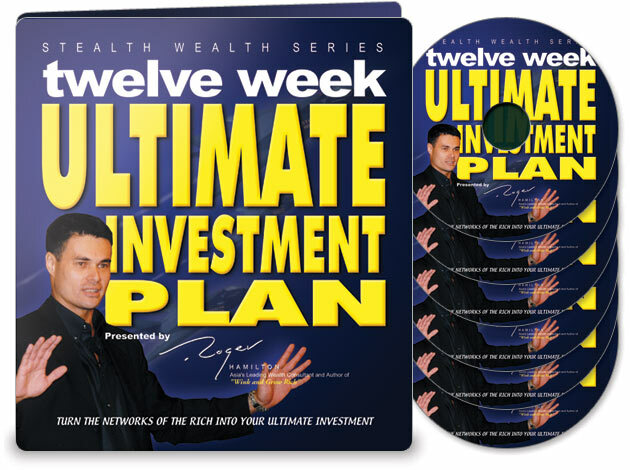 Click the button below to add the 12 Week Ultimate Investment Plan (6CD Set) to your wish list.